Note: If you add merchandise to your shopping cart while you're in one store, it will remain in your cart when you visit the second store if you have not checked out yet. Click above to enter our Procoverage Store. 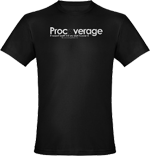 Here you can buy all products with the Procoverage logo. 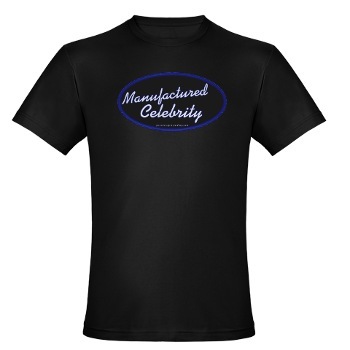 Click above to enter our Manufactured Celebrity Store. A Manufactured Celebrity T-Shirt was featured in our No Destination short during a portion that made fun of TV talent shows. 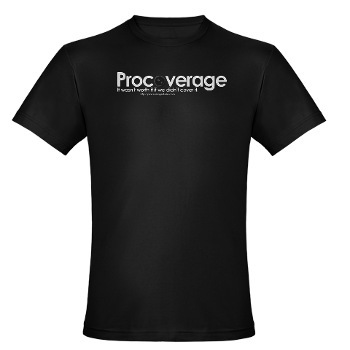 Show the world how much you love Procoverage! © Copyright 2009 Bryan Fox. All rights reserved.